One of the pioneers in comicdom, he was a co-publisher of All-American Comics, which would subsequently merge fully with National Comics to form DC Comics. He was originally born as Maxwell Ginsberg, and was the father of MAD publisher Bill Gaines. In 1933, the senior Gaines devised the first four-color, saddle-stitched newsprint pamphlet, which was the precursor to the colorized format that became the standard for the American comic book industry. He was co-publisher of All-American Publications, part of the company that introduced Green Lantern, Wonder Woman and Hawkman. He went on to found Educational Comics, producing series like Picture Stories from the Bible. He authored one of the earliest essays on comic books, a 1942 pamphlet titled Narrative Illustration, The Story of the Comics. Gaines died in a boating accident on Lake Placid, New York, when a speedboat driver crashed into his own vehicle. 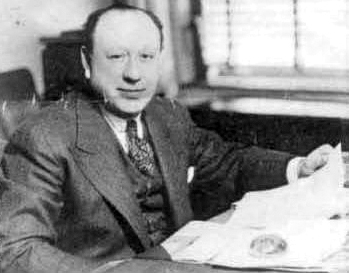 After his death, the junior Gaines took over EC and changed it to Entertaining Comics, initially publishing series like Weird Science and Tales from the Crypt, and in 1955, following the Senate hearings in the wake of Dr. Frederic Wertham's now discredited book, "Seduction of the Innocent", Gaines restructured the company into one that would publish just MAD magazine. Max Gaines was posthumously named as one of the honorees by DC Comics in the company's 50th anniversary publication Fifty Who Made DC Great in 1985. A native of the Bronx in New York City, he was the son of Romanian immigrants from Bucharest. A graduate of Theodore Roosevelt High School in The Bronx at age seventeen, he co-published Time Traveller in partnership with Mort Weisinger and Forest J. Ackerman, one of the first science fiction fanzines in 1932. Schwartz and Weisinger also founded the Solar Sales Service literary agency (1934–1944) where Schwartz represented such writers as Alfred Bester, Stanley G. Weinbaum, Robert Bloch, Ray Bradbury, and H. P. Lovecraft, including some of Bradbury's first published work and Lovecraft's last. In addition, Schwartz helped organize the first World Science Fiction Convention in 1939. In 1944 he became an editor at All-American Comics, one of the companies that evolved into DC Comics, and recruited Bester to contribute to the company's output. One of the first comics Schwartz edited was Flash Comics, where the Golden Age Hawkman began. In 1956, Schwartz assigned writer Robert Kanigher and artists Carmine Infantino and Joe Kubert to the company's first attempt at reviving superheroes: an updated version of the Flash that would appear in Showcase #4 (October 1956). The eventual success of the new Flash heralded the wholesale return of superheroes, and the beginning of what fans and historians call the Silver Age of Comic Books. Schwartz also had writers John Broome and Gardner Fox revive other superheroes such as Green Lantern in Showcase #22 (October 1959); Hawkman in The Brave and the Bold #34 (Feb.-March 1961); and the Atom in Showcase #34 (Sept-Oct. 1961). A character Schwartz created himself, Adam Strange, debuted in Showcase #17 (Nov-Dec. 1958), and was unusual in that he used his wits and scientific knowledge, rather than superpowers, to solve problems. Schwartz also oversaw the introduction of the Elongated Man in The Flash #112 (May 1960) by Broome and Infantino. Schwartz gave Fox and artist Mike Sekowsky the assignment to create the Justice League of America as an updating of the Justice Society. The new team debuted in The Brave and the Bold #28 (February/March 1960), and received its own title in October 1960. It became one of the most successful team titles of the Silver Age. In the mid-60s, he was mainly in charge of editing chores on the Batman books, and in 1971 up until 1986, he was the main editor for all the Superman-related titles. 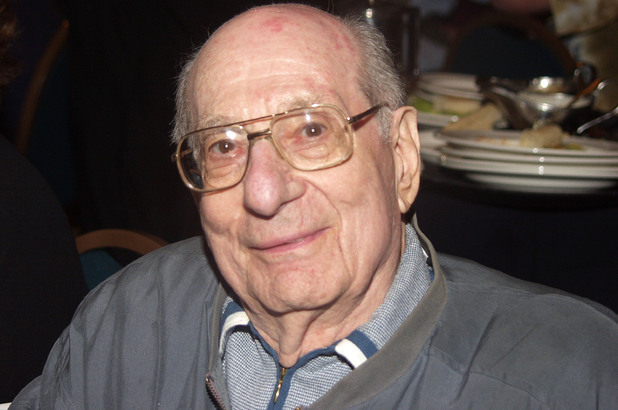 Schwartz retired from editing in 1986 after 42 years at the company, but continued to be active in comics and science fiction fandom until shortly before his death from pneumonia in 2004. His wife, Jean Ordwein (who had been his secretary before they married), died in 1986 from emphysema, after 34 years of marriage. Schwartz's relationship with Jean had been particularly close, and he never remarried or dated following her death. A number of years later, Schwartz's stepdaughter Jeanne—Jean's daughter from a previous marriage—died from the same illness under similar circumstances. Schwartz was survived by his son-in-law, grandchildren and great-grandchildren. In 1996, he was inducted into the comics industry's Jack Kirby Hall of Fame, and the Will Eisner Comic Book Hall of Fame the following year.